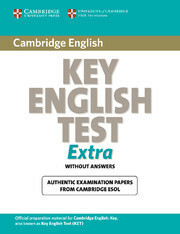 Cambridge Key English Test Extra provides authentic past papers from Cambridge ESOL, plus a wealth of extra material for use in the classroom or for self-study. This title contains a useful exam overview and helpful guidance on tackling each part of each paper. A Student's Book 'with answers and CD-ROM', an Audio CD and a Self-study Pack are also available. 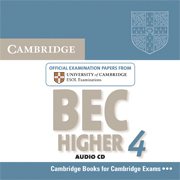 Four authentic BEC past papers from Cambridge ESOL for BEC Preliminary, Vantage and Higher.